Are you looking for a simple craft to keep the kids entertained whilst you wrap some presents? 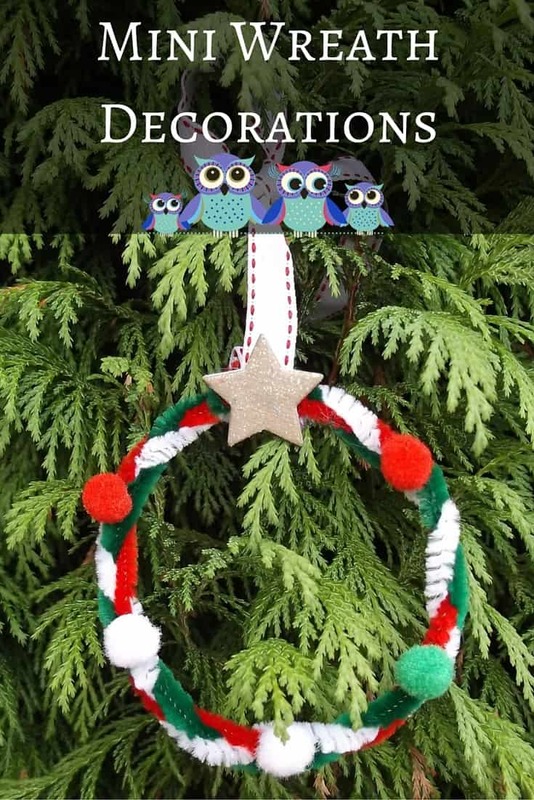 This festive craft is a great one for young and older kids and soon you will have a whole host of mini Wreaths to decorate your home with. Long pipe cleaners – green, red, white, silver and gold. First take two different coloured pipe cleaners and one ribbon of the same length. Next you will need to carefully twist together the ends of the ribbon and pipe cleaner to secure it. Then plait or twist the three strands around until you have one combined length that looks a little bit like a rope or plait. Shape this into a circle and twist both ends together to secure them and then add a ribbon to hang on the tree. You can then glue on a few pom poms or sequins. Finally, attach some ribbon and bows to make a hanging loop for your mini wreath decorations. They can be hung on the Christmas tree as a Christmas decoration, or paint a tree branch white and hang them off that for an interesting table centrepiece. You could use them as labels for Christmas presents or hang them in the window to add a little festive colour! You could make different coloured wreaths which fit in with the festive colours you like to use to decorate your home this season. 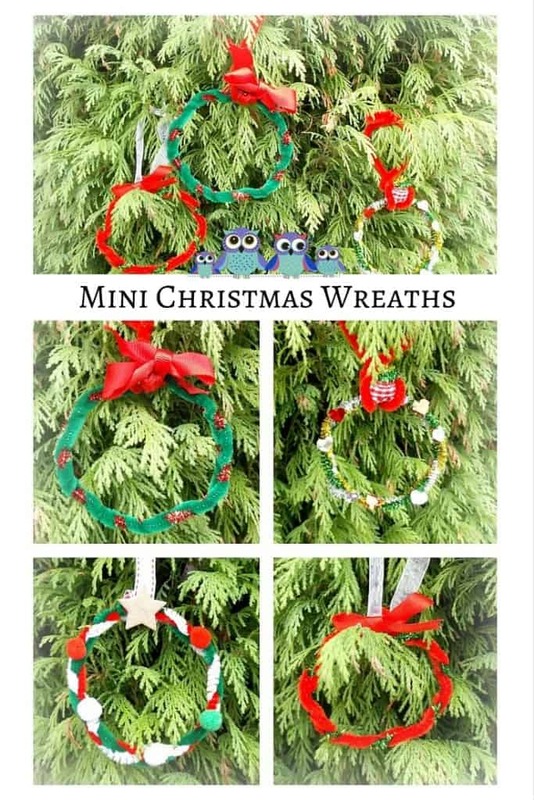 We loved making these mini wreaths! Why not join in and try making your own home-made kid ornaments to get you all in the festive mood. 30 Days of Homemade Kid Ornaments is hosted by The Resourceful Mama. Click on the image below to find out more! We found that both kids worked together quite well making these. Plus you can have lots of decorations made within a short space of time! I love that these are so easy to make…but they look great, too! Pinning! They are super easy to make if your little ones cannot plait then just get them to twist the pipe cleaners together!